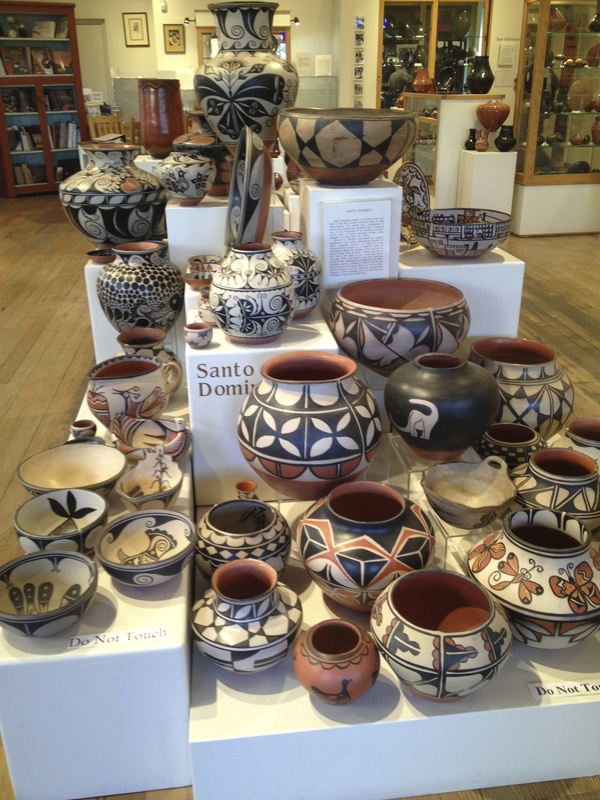 Eight Great Places to See: Santa Fe, NM | Oh, the Places We See . . .
Here’s what I’m thinking. Real travel writers who provide detailed tips on where to go, what to see, and what to eat probably spend time investigating known and unknown spots both prior to and during a trip. I’m guessing, of course, but real writers mostly talk to locals who tip ’em off to the best of the best and then some — you know, those out-of-the-way places just waiting to be discovered. Kind of like Diners, Drive-ins, and Dives eateries and such. Well, we’re not journalists or freelance writers. We’re just lucky travelers who found Santa Fe to be more than we ever expected. 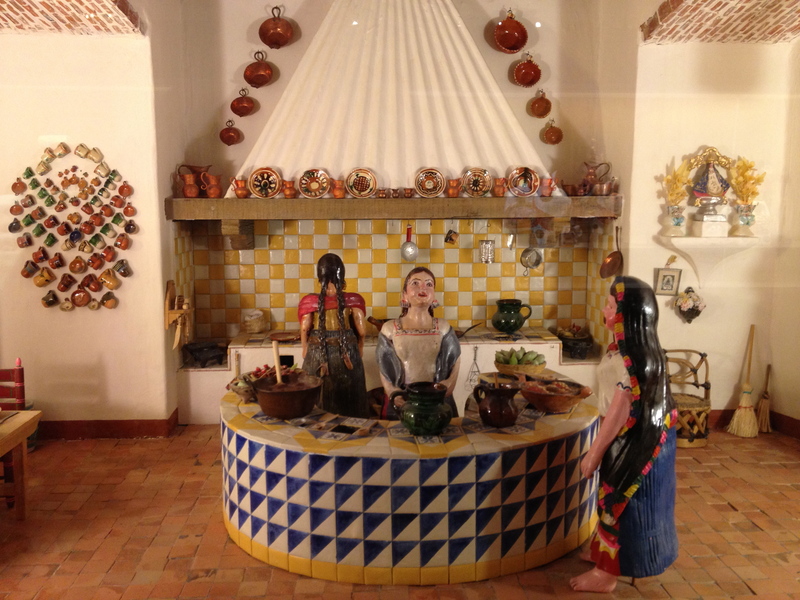 To see the art of Santa Fe, you only have to look up! 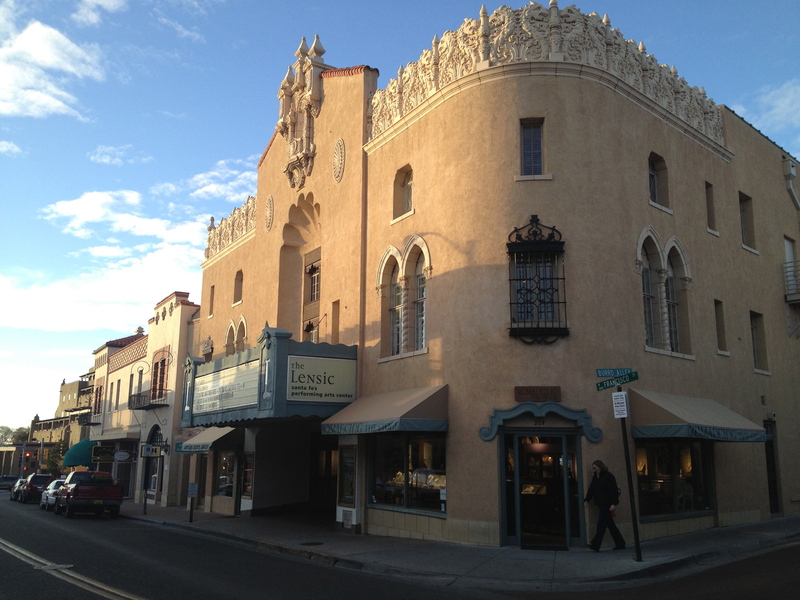 The grand architecture of The Lensic, Santa Fe’s Performing Art Center! Although we spent only a couple of days in fabulous Santa Fe and moved rapidly from one must-see spot to another, we tried to take in as much as we could on our two-day look-around. So, when we say we’ve found eight great places, we have. 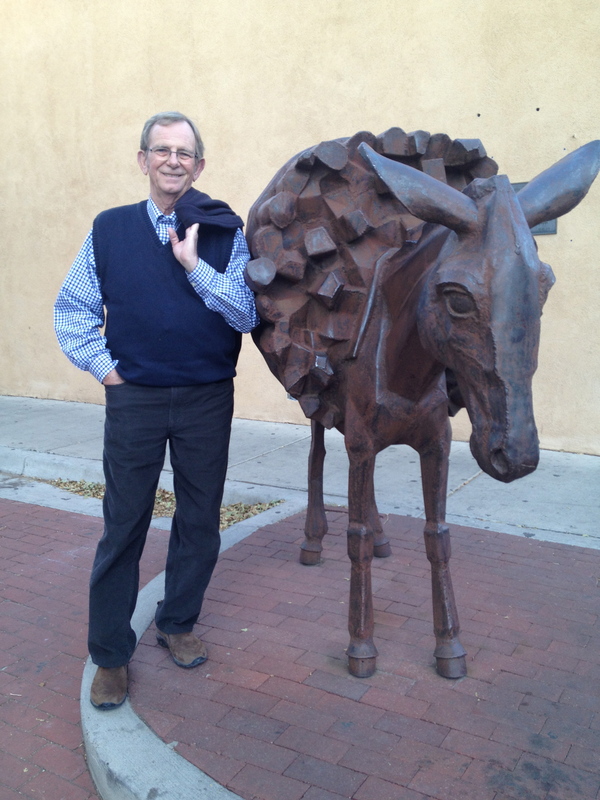 But it’s by no means the be-all and end-all of What To See in Santa Fe. Having said that, here are eight of our favorite spots. We think you’ll love ’em, too! 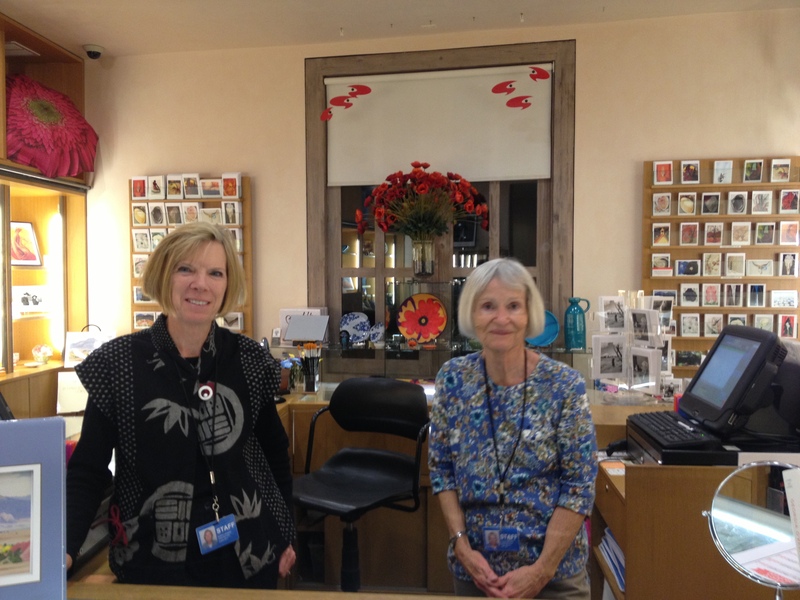 These ladies in the O’Keeffe Museum Gift Shop showed us the touris favorites and then invited us to an upcoming tea! Love this place! 2. 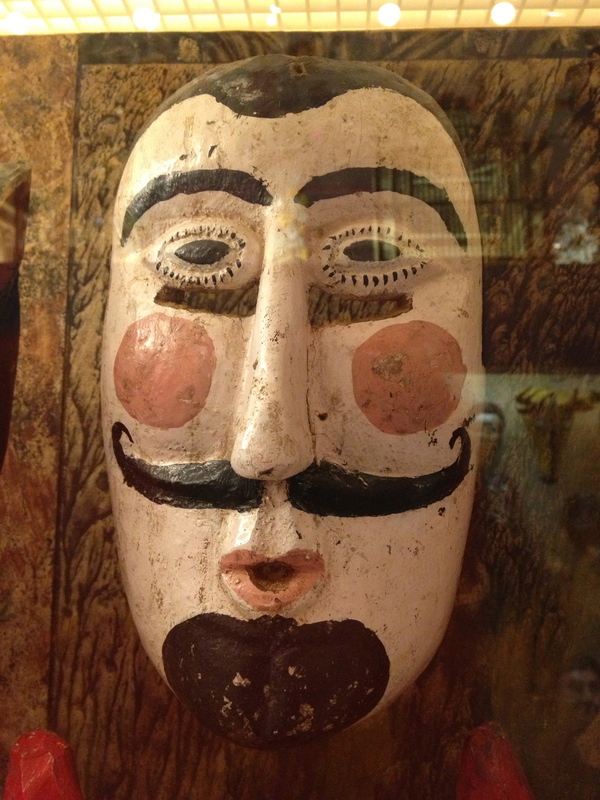 Museum of International Folk Art. Situated on Museum Hill with three other great venues for Southwestern and Indian art, this international folk art collection is chock full of hand-made creations from around the world. Check out funky, primitive carvings or vignettes of hundreds of tiny people and creatures housed in glass cases and catalogued for easy viewing and IDing! Allow extra time. You won’t believe this vast collection of stitchery, pottery, masks, dolls, and quirky creations — sure to make you smile! 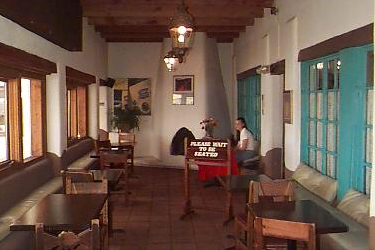 (706 Camino Lejo; 505.476.1200; internationalfolkart.org) Closed Mondays. Colorful masks from all over the world smiled back at us! Tiny vignettes of life like this one from Mexico had us pressing our faces to the diplay windows. 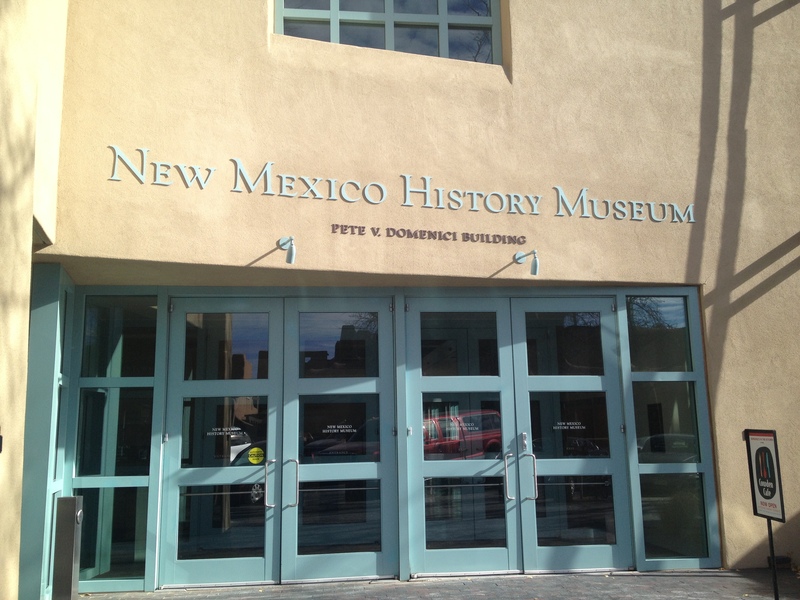 Interesting take you on a fascinating journey through the history of New Mexico. 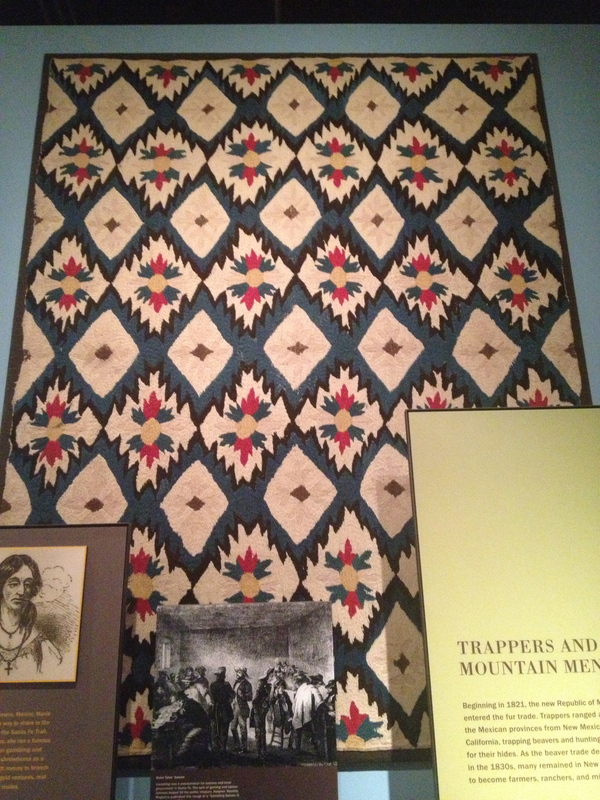 Textiles like this graphic quilt caught my eye. 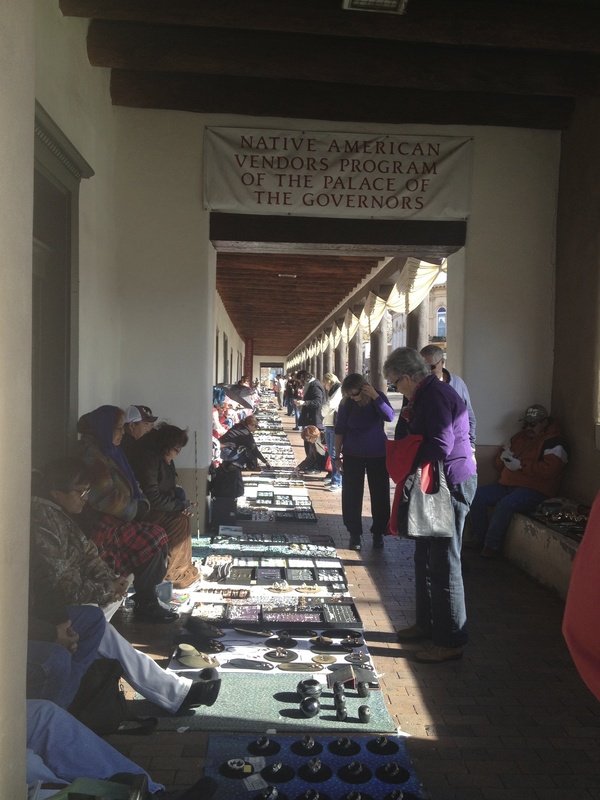 Native American artisans line the sidewalk under the portal of the Palace of the Governors. 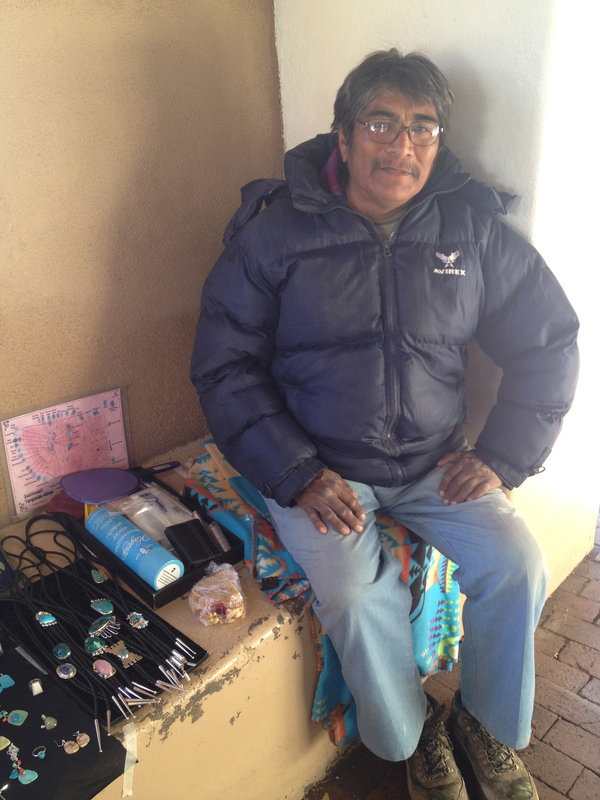 Brought home silver earrings from this artisan who stayed warm at his shady post. 6. 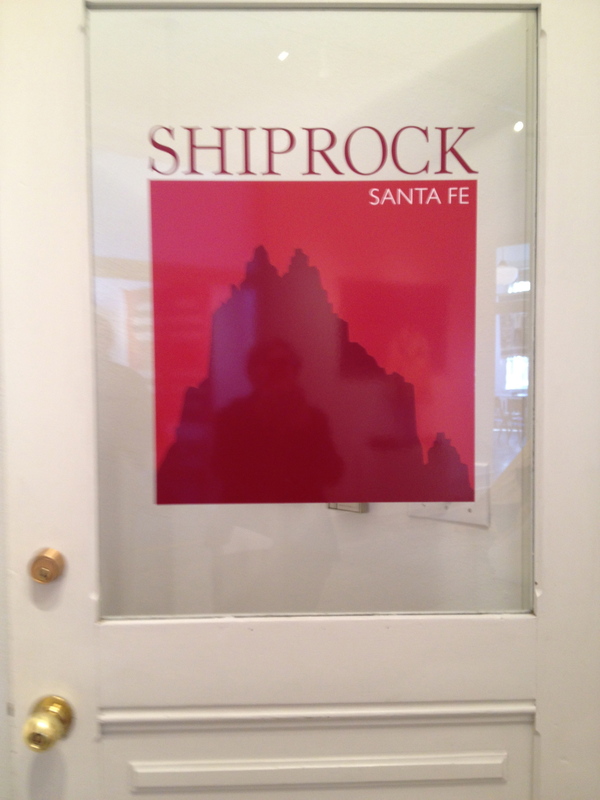 Shiprock. Far and away my favorite, this upstairs multi-room loft of white walls and old painted floors houses collections of vintage pieces the likes of which I’ve never seen anywhere else. 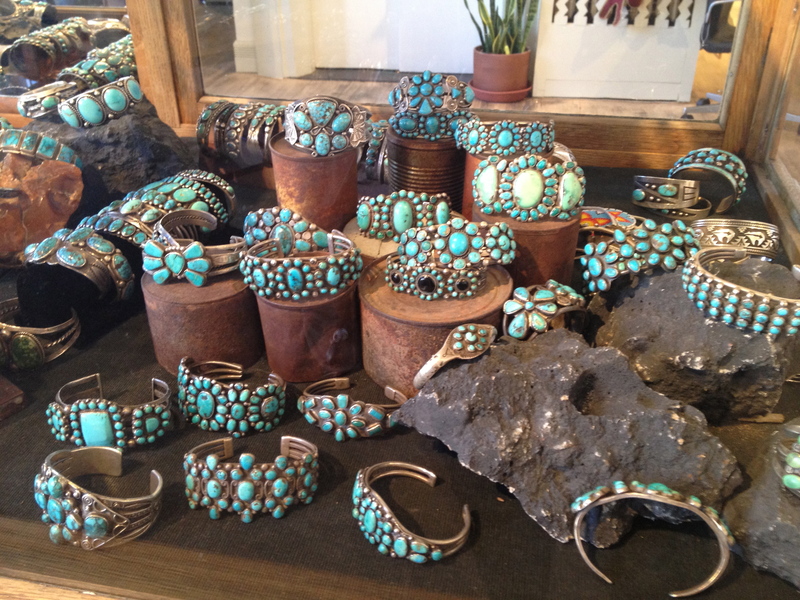 From classic turquoise bracelets to artisan silver buckles to the largest selection of vintage Navajo weavings in the area. Owner Jed Foutz brings the best to the gallery and then allows knowledgeable people like Director Jamie Way to explain the beauty and the history of the pieces to would-be collectors. 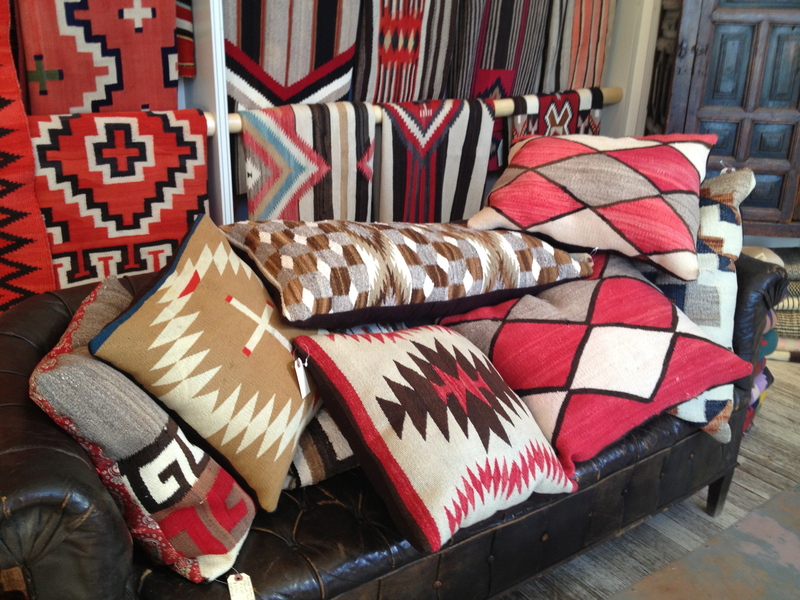 Loved the c.1920 saddle blankets, room-filling teepee by Hiroki Nakamura, and Zuni dangle earrings. Like antiques? Ya gotta go here. This door on the second floor of The Plaza takes you back in time and right in front of the finest vintage Southwest pieces in town. 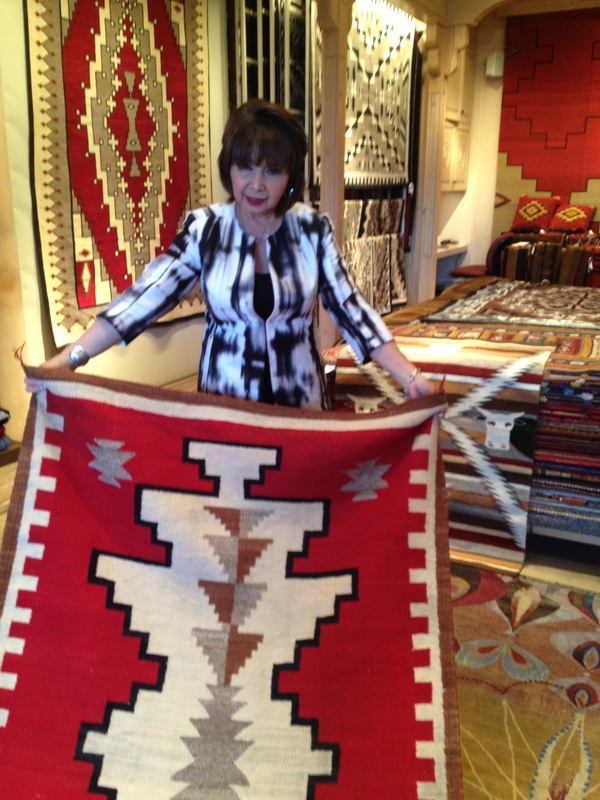 Rugs, saddle blankets, and pillows for sale at Shiprock. Geri Ortiz, a Packards associate, laid out my rugs of choice for a closer look. 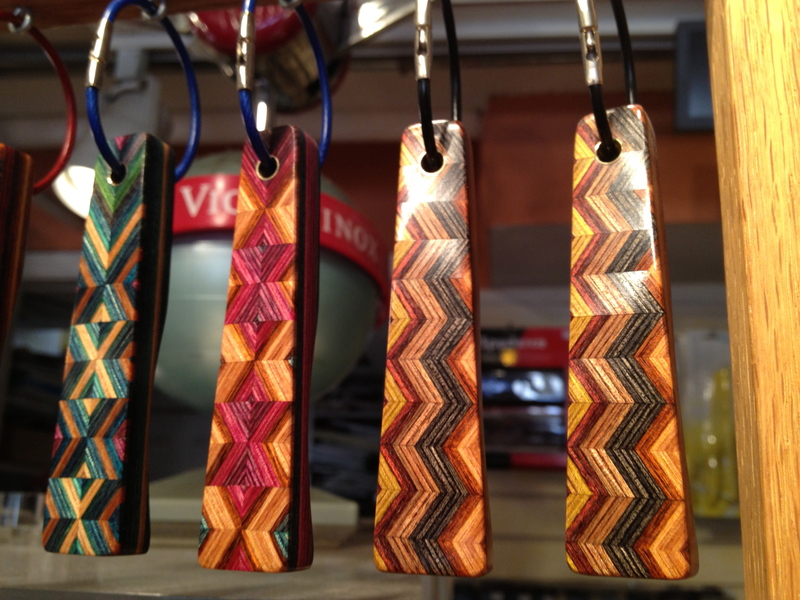 Colored pieces of inlaid wood adorn these key rings at Cutlery of Santa Fe. 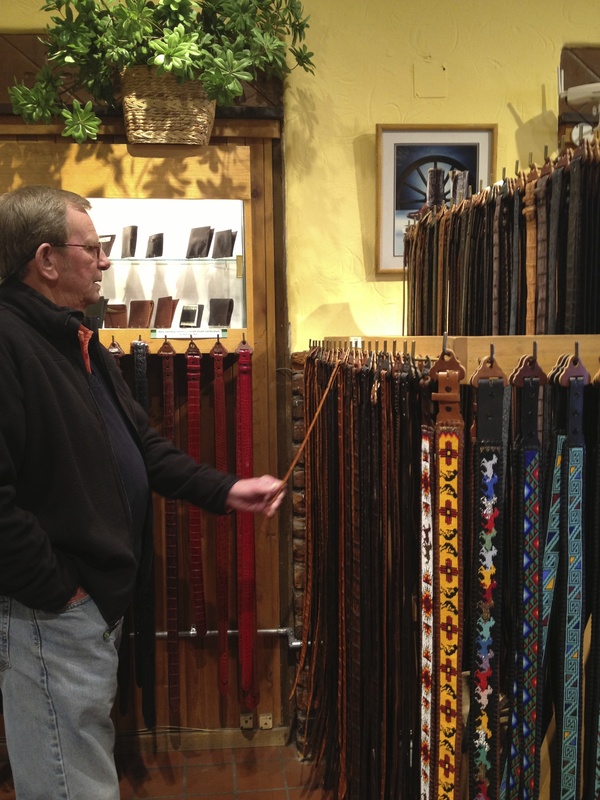 Bert admires the finely wrought belts that can be added to artisan buckles at Tom Taylor. Want boots? They’ve got ’em! 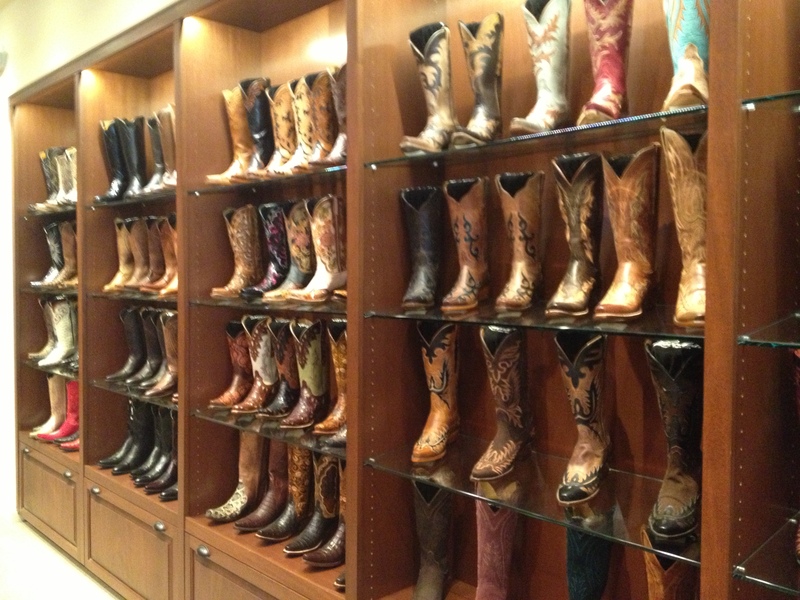 Lucchese of Santa Fe. 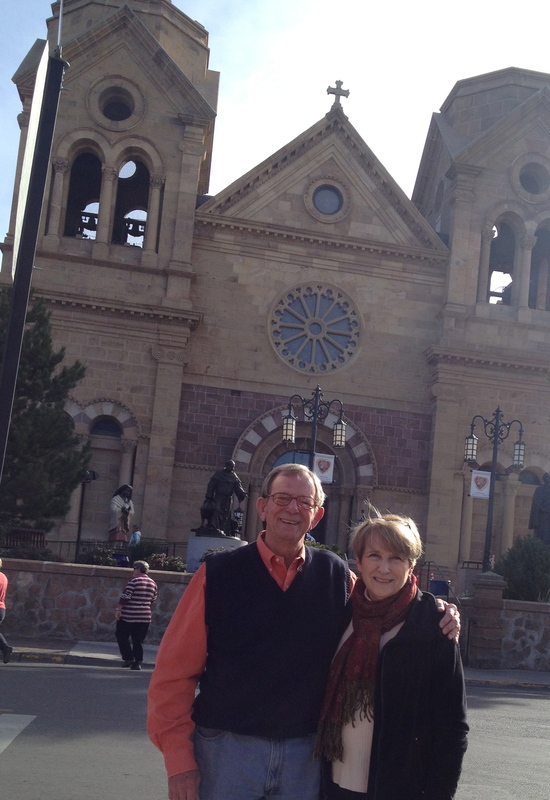 Someone on the street asked if we wanted our picture taken in front of the Cathedral Basilica. How could we refuse? 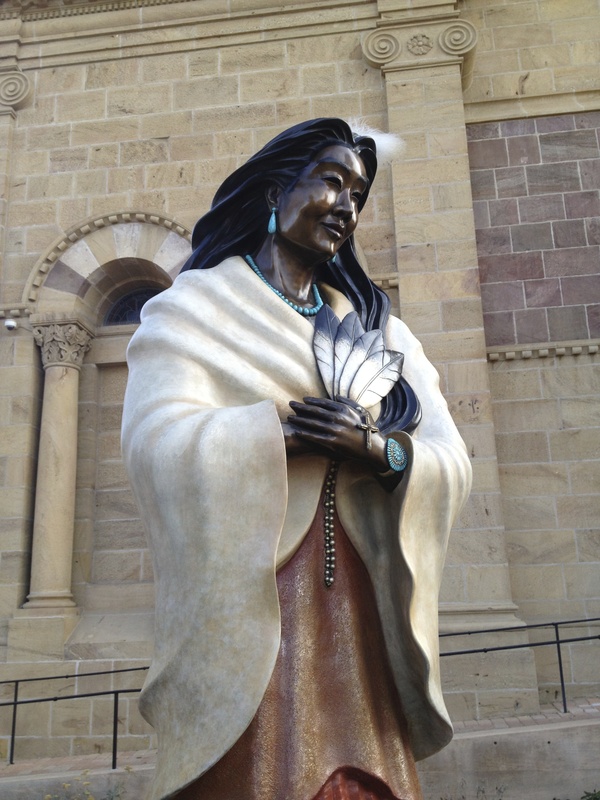 Even the statue of Kateri Tekakwitha, first Indian of North America to be promoted a saint, wears turquoise jewelry! Ask to sit in the Cantina when you go to Maria’s! Noisy and fun! Of course, this is just a taste of Sante Fe, a town steeped in history, art, and culture unlike what we see back home in Tennessee. And with just eight great places to see under our belt, we’re ready to return to make it 16 . . . or 24 . . . or more. We don’t think folks ever get tired of seeing Santa Fe. We sure didn’t! “Turn left by the donkey” is what we were told. And that’s how they give directions in Santa Fe! As seen in the park at The Plaza, Santa Fe. This entry was posted in Destination, Museum, New Mexico, Restaurant, Retail Shops, Travel and tagged Andrea Fisher, Georgia O'Keeffe, International Folk Art Museum, Lucchese, Maria's, Navajo, New Mexico, Packards, Palace of the Governors, Santa Fe, Shiprock, Tom Taylor. Bookmark the permalink. I want a “real” margarita!! Sooooo many great restaurants and margaritas, so little time! 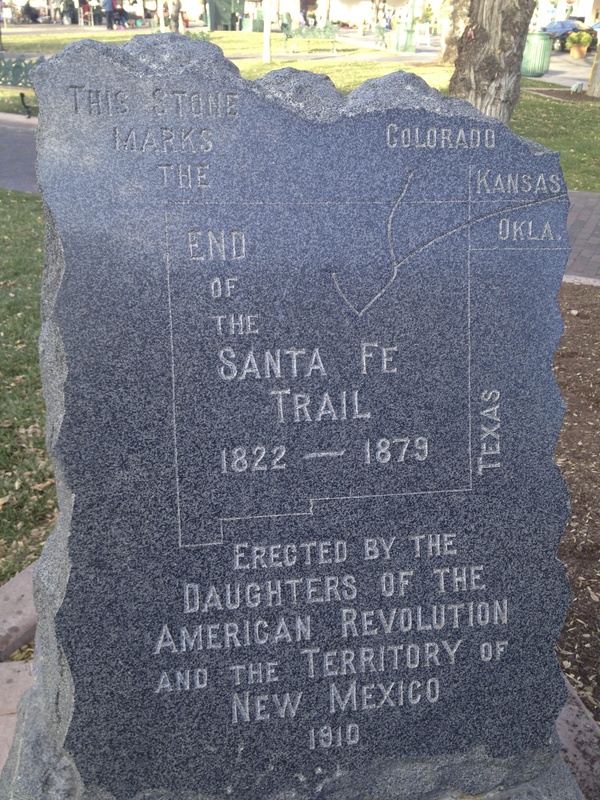 Thanks for the tips on places to visit when I make it to Sante Fe, hopefully sometime this year. I’ve only scratched the surface, of course! Let me know what you find! This is great! Santa Fe’s high on my list of places to go, and this gives me a sense of what to see when I do make it there. I noticed the winter jackets in the pictures – I guess winter is the wrong time to go if I want to experience the desert heat? How long was your trip? It’s pretty chilly during winter months, but when the sun shines during the day, it’s not bad with just a medium coat. We were there 2 days, 2 nights. But oh, how we wish it could have been longer! Thanks for reading!